Khanom | The first beach bar in the great town of Khanom, South Thailand! 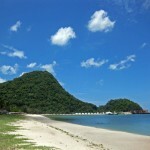 Khanom is the northernmost district of Nakhon Si Thammarat province in South Thailand. 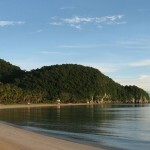 It is a coastal district in the immediate vicinity of the well known island of Koh Samui. 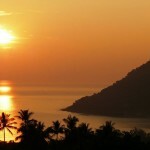 At the closest point, the distance to Koh Samui across the Gulf of Thailand is approx. 19 km. The people of Khanom have traditionally maintained a vital source of income from fishing. 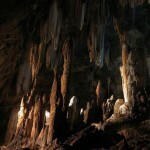 In present times there is also a growing number of tourism related businesses. Furthermore Khanom is nowadays the host of the power plant supplying both the islands of Koh Samui and Koh Phangan with electric energy. 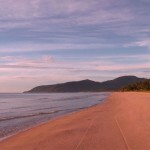 Khanom district is also home of the famous pink -and grey- dolphins. Boat tours for dolphin watching in the coastal waters are available leaving both from Khanom harbour as well as from Cape Pra Thap. 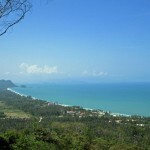 Although the Khanom coastline itself is not suitable for diving, part of Khanom district forms part of the “Moo Ko Talee Tai” Marine National Park, which includes the nearby islands of Koh Wang Nai, Koh Wang Nok and Koh Rab. At Koh Rab there are coral reefs with snorkeling opportunities. Amongst Khanom’s further attractions there are also several interesting temples and a dragonfruit farm. Nadan Beach – Central section of Khanom bay, home to CC Beach Bar! 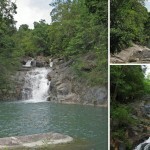 Hin Lard Waterfall – Great for a picnic! 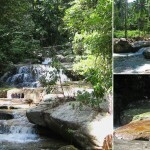 Nakhon Si Thammarat airport ( 1 h 10 min by car or minibus ). From Suratthani or Nakhon airport you may either take a taxi to the local Minibuses and go to Khanom by Minibus, or negotiate a taxi passage to Khanom. If you have booked a Khanom hotel or resort, you are usually offered a pickup service (not included in the hotel fare). There is a daily overnight bus leaving in the afternoon from Bangkok’s Southern Bus Terminal and arriving at Khanom the following morning ( about 12 h ). There are also daily buses going from Phuket Town to Suratthani Town ( about 4 h ). From Suratthani Town there is an hourly minibus, servicing Khanom from 8 a.m. to 6 p.m.. There are several trains daily going from Bangkok to Punpin train station (12 km from Suratthani). Take a local bus to downtown Suratthani Bus Station and take the hourly minibus from there, servicing Khanom from 8 a.m. to 6 p.m.. Note: There are 2 bus stations in Suratthani Town. The Khanom minibus leaves from the one that is farther away from Punpin train station. Follow the Highway No. 401 from Suratthani about 90 km eastwards or from Nakhon Si Thammarat about 115 km northwards until you reach Khanom junction. From the junction to the town center -“See Yaek market”- about 17 km. Distance from Bangkok about 730 km, 8-10 h driving time. From Phuket about 330 km, 3.5 – 4 h driving time. 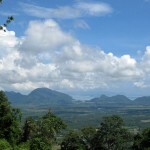 From Krabi about 280 km, about 3 – 3.5 h driving time.